Is this the very First Porsche 356 Toy? Never one to pass up a Porsche conversation in the middle of his work day, Jim takes the call from Jeff Gasparitsch who said he found Jim on the 356CAR website and saw that they both lived in the same town. He was anxious to tell the story about his father Victor Gasparitsch and his personal history with Ferdinand Porsche and what turned out to be the Gmünd Coupe. Jim listened in amazement as the following incredible tale unfolded from Jeff Gasparitsch. Any idea what the very first Porsche toy ever made was? It is very likely the 15-inch-long cast Gmünd replica made by my father. As a young boy I found an old and somewhat odd toy car on a family trip back to Austria back in 1976. It was used as doorstop at my grandparent’s house in Ledenitzen. When we returned to Canada, I kept reminding my father on future visits to bring the “toy” back for me. At the time I had no idea what it was. It was just neat and different. It wasn’t until after several subsequent trips in the 1980s that he finally remembered to pick it up for me and bring it to Canada. That is when I finally learned the real story behind my funny old toy car. My father, Victor Gasparitsch, was schooled as a Mechanical Engineer at the Federal Engineering School for Mechanical & Electrical Engineering in Lundenbrg (which at the time I believe was Austria, and is now part of the Czech Republic). Then he apprenticed as a Pattern Maker at a company called KMF (Kärntner Maschinenfabrik) in Carinthia, Austria from 1945 until the spring of 1948. It was during the latter part of this tenure that two gentlemen came to the shop in which he worked. They had a meeting with the foundry manager and after some time, they approached my father. The gentlemen were Erwin Komenda (known to my father as Chief Engineer Komenda) and Ferry Porsche! As it turned out, the foundry manager and other senior people turned down the job proposal so Porsche and Komenda decided they would speak to my father directly, since he had a background in Mechanical Engineering and not just pattern making. 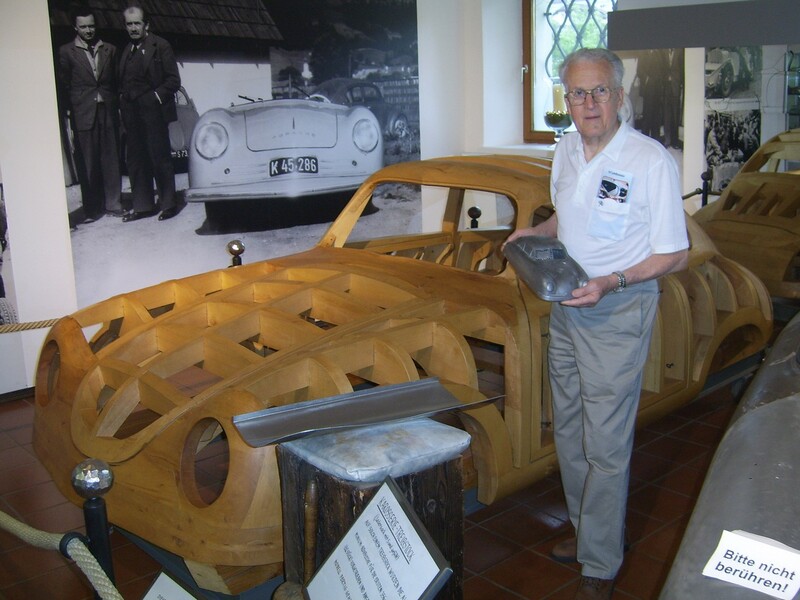 They showed him some drawings of what was to become the first Porsche 356 and asked if he could produce for them what became the metal-forming fixtures for the left and right doors. He accepted the challenge and KMF got the work from the fledgling Porsche Company. As my father was completing the work on the first fixture (it was for the left door) he approached his management and asked to be paid a salary commensurate with the other senior tradesmen as he was doing the work the seniors would not touch while being paid substantially less. The management turned down his request, citing the union pay scale rules. This was enough to make my father decide to leave KMF. He informed Chief Engineer Komenda of his intentions to leave. Komenda asked that he stay with KMF until the first assembly was complete, then roll the drawing up under his arm and they would follow him. My father did so, and Porsche followed suit as promised. My father moved to what was a new pattern making division of the J. Fercher Company in Villach, Austria that was then a relatively small furniture making company. Porsche then placed the balance of the order with J. Fercher and that is where my father completed the right side door fixtures. J. Fercher then received additional work from Porsche including the firewall for the car. It was during this time that my father requested a 1:10 scale drawing from Chief Engineer Komenda so he could build a small model for personal use. Komenda was happy to oblige. 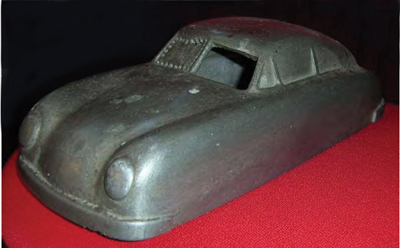 My father took the prints and made a wooden pattern of the car from which the foundry made an aluminum sand casting. The first casting was a test pour, the second was a keeper, and the first Porsche replica toy was created – based on real prints, no less! After Ferdinand Porsche’s death and the company’s move, the J. Fercher Company closed the doors on its Pattern Shop in 1952 to focus on the furniture business. I would have to assume that all the old patterns from the pattern shop were scrapped. Today J. Fercher (now operated as FRC Austria) is a very large furniture company in Austria. I visited the plant in 1976 with my father, but only recently learned what the connection was to his past. My dad moved on to work in Switzerland and eventually immigrated to Canada. 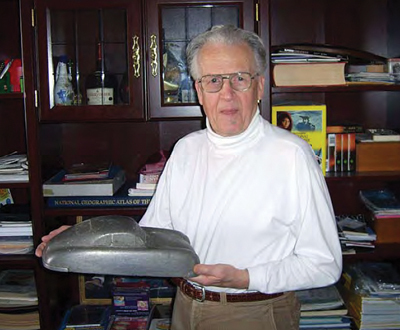 In 1966 he opened his own pattern shop, Cosmos Pattern Company in Stoney Creek, Ontario that he operated until 1994. Into the late ‘80s he still received requests for quotations from Porsche. The last I saw was for several large wind tunnel sections for work that I believe was going to be conducted in Toronto. That one remaining generic toy casting became a play toy for various generations of kids visiting my grandparents over 40+ years. Of course no one was the wiser as to its origin. Unfortunately, somewhere over the course of the toy’s life someone tried to alter it to make it more of a toy than a casting. They used a drill to open one of the front windows and started on the second window but fortunately never finished the job. My father will be 82 years old this year and I have made a point to return to his home in Canada to document several details of his life before it is too late. UPDATE December 2012 – Jeff Gasparitsch recently was kind of enough to be in touch with me and he forwarded several photos from the visit to Stuttgart with his father and the model was documented at the Porsche Museum in the summer of 2010. Hello There. I found your blog the use of msn. That is a really well written article. I will make sure to bookmark it and return to read more of your helpful information. Thanks for the post. I’ll definitely return. For the record the casting is ~15″ long I believe; the article above was slightly modified from my orignal writing when it was published in the 356 newsletter. If you like, I can forward some photos from the visit to Stuttgart where my father and the model were documented at the Porsche Museum in the summer of 2010. Thank you Jeff….that would be great to see the additional photos. I will send you a private email. Excellently written report, only when all people created a similar material as you, the web became a more suitable area. Hmm it looks like your site ate my first comment (it was super long) so I guess I’ll just sum it up what I submitted and say, I’m thoroughly enjoying your blog. I too am an aspiring blog blogger but I’m still new to everything. Do you have any recommendations for inexperienced blog writers? I’d really appreciate it. Methods you explained this unique topic in this case is pretty worthwhile and in addition professionally prepared. In my opinion you will definitely immediately get number of subscribers. Fantastic goods from you, man. UPDATED – A Story of the First Porsche 356 Toy Dedeporsche's Blog I’ve understand your stuff previous to and you’re just too great. I really like what you’ve acquired here, certainly like what you are stating and the way in which you say it. You make it entertaining and you still take care of to keep it smart. I can not wait to read far more from you. 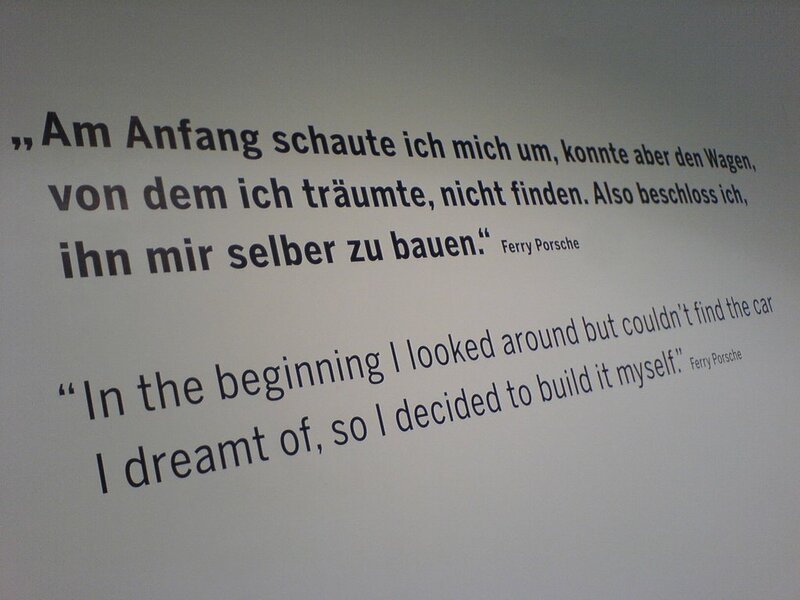 This is really a terrific UPDATED – A Story of the First Porsche 356 Toy Dedeporsche's Blog informations. Hello There. I found your blog using msn. This is a really well written article. I will make sure to bookmark it and return to read more of UPDATED – A Story of the First Porsche 356 Toy Dedeporsche's Blog . Thanks for the post. I’ll definitely return. I have to express some appreciation to the writer just for bailing me out of such a difficulty. Because of browsing throughout the the web and meeting thoughts which are not beneficial, I believed my life was well over. Existing without the approaches to the problems you’ve solved as a result of your good guide is a serious case, and the ones which could have in a wrong way affected my entire career if I had not encountered your web blog. That understanding and kindness in handling a lot of stuff was very helpful. I am not sure what I would have done if I had not discovered such a point like this. I’m able to at this moment look forward to my future. Thanks a lot very much for the reliable and results-oriented guide. I will not think twice to refer your web blog to any individual who needs support about this subject. Fantastic goods from you, man. UPDATED – A Story of the First Porsche 356 Toy Dedeporsche's Blog I have understand your stuff previous to and you’re just extremely excellent. I actually like what you have acquired here, really like what you are saying and the way in which you say it. You make it entertaining and you still take care of to keep it sensible. I can not wait to read much more from you. This is actually a tremendous UPDATED – A Story of the First Porsche 356 Toy Dedeporsche's Blog informations. Sweet website , super design , really clean and use pleasant.